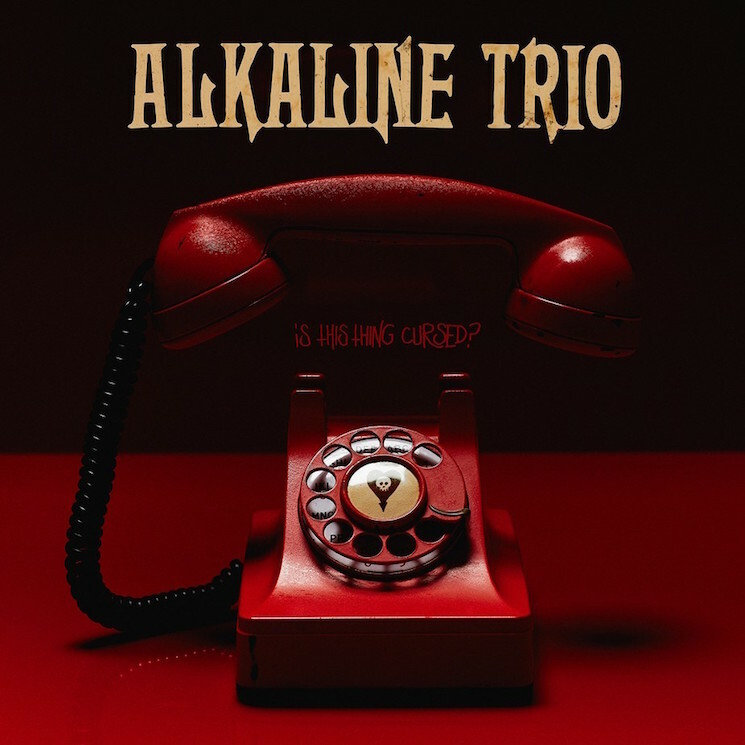 Matt Skiba is hanging up his Hurley hat and taking a little break from the California-kissed pop punk of Blink-182 to return to his first love Alkaline Trio. The band have announced their first new album in five years, as well as shared a new track. The album, which is Alkaline Trio's ninth overall, is called Is This Thing Cursed? The record is considered a cousin or sibling to their seminal Maybe I'll Catch Fire release. For a taste of what's in story, you can stream the album's first teaser track "Blackbird" down below. In a press release, the band's Dan Andriano said, "The songwriting process is almost like what it was back in the day. We would just kind of write a song, be excited about it, then move on. We wrote in that spirit in the studio. I really feel like we made a record that the old school fans are going to dig." Skiba added, "Some people thought we were done. We announced a tour and a lot of the shows are already sold out. Nobody knows that we made a new record. It's not unlike getting somebody that you care about something extra super special for their birthday and you're really excited to give it to them. It feels kind of like that." The album was produced and mixed by Cameron Webb. That's the album cover up above, while the tracklist is below. Is This Thing Cursed? will arrive on digitally and on CD on August 31 via Epitaph, while the vinyl version will follow on October 19. You can pre-order the album in various bundles over here. The album's "Blackbird" can be streamed below, while the band's upcoming U.S. tour dates are available here.